MULTAN (92 News) – Senior politician Makhdoom Javed Hashmi has said that the sit-ins were a conspiracy against the government. Addressing a press conference at his residence in Multan on Saturday, he said that there should be a political solution to the resignations of the MQM. Hashmi said that it is wish of each Pakistani that institutions should work within their limits. He said that political and military leadership has controlled the conditions despite the crises. “I do not know where conspiracies are made against the government. Jahangir Tareen had said that they could not bring 500,000 people as per the agreement, while Imran Khan said that there would be the government of technocrats, Chief Justice Nasarul Mulk would dissolve the assemblies and elections would be held after three months,” he disclosed. 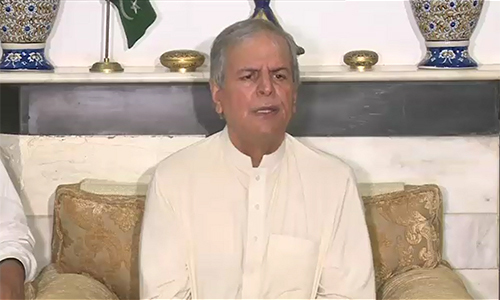 Javed Hashmi said that he had said Prime Minister Nawaz Sharif would not resign. Hashmi said that he had never contacted anyone. 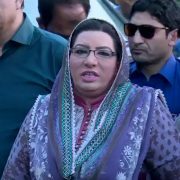 “When I was coming after leaving the sit-in, Gen Pasha had threatened me that he will not spare me, Ch Nisar and Khawaja Asif,” he said.